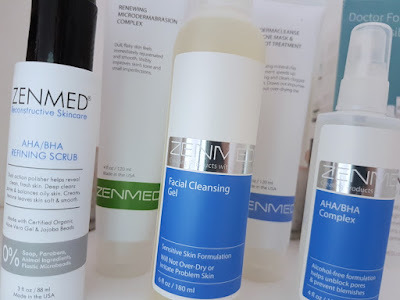 Last week I posted the first half of my Zenmed skincare post that featured the AHA/BHA Complex, Renewing Microdermabraison Complex and the Derma Cleanse Acne Mask & Spot Treatment. 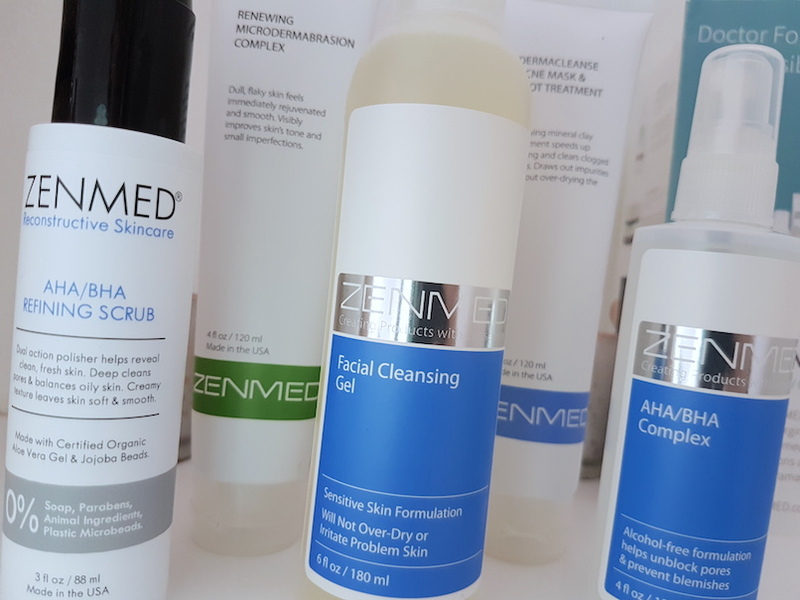 The products together focus on helping to banish acne or blemishes and reduce the appearance of red marks and the production of excess oil on the skin. As I did with the first post, I'm going to explain each product within their designated sections as to not clutter up the intro and to cause any confusion. I'm also not going to repeat anything that I said in part one, so for a more in depth intro I will direct you to the original post and instead just dive right on into discussing the products. Info on where to purchase the products can be found at the end of the post.